Victorian Mental Health Month? The focus for this year’s Mental Health Month (7 Oct – 6 Nov) is youth – people aged 16-25 years. 1 in 7 young Australians experience a mental health condition. People often recognise that massage can have a positive effect on their mood, with many seeking massage to help lower stress levels. It may not be as commonly known that massage can also benefit conditions of depression and anxiety. Anxiety and depression are the most common mental health conditions experienced by people in Australia. There is a lack of good quality research on massage and myths about massage abound, but the beneficial effects of massage on anxiety and depression are the most well-established effects in the massage therapy research literature. Looking after your mental health is important, whether you are experiencing a mental health condition or not. Our mental health affects how we think, feel and act and helps determine how we handle stress, relate to others and make choices. A healthy mental state can boost your ability to deal with stress, solve problems, think flexibly and even fight disease. So, if your mental health needs some extra care in order to flourish, do consider massage with Akeso Massage Therapy. A series of massage therapy treatments has been shown to consistently produce sizable reductions of depression in adult recipients. Single sessions of massage therapy have been shown to significantly reduce state anxiety, the momentary emotional experiences of apprehension, tension and worry in both adults and in children. Multiple sessions of massage therapy, performed over a period of days or weeks, have been shown to significantly reduce trait anxiety, the normally stable individual tendency to experience anxiety states, to an impressive degree in adults. “Affective Massage Therapy”, Christopher A. Moyer, 2008. + 20 minute “Pick-me-up” massages for $30 / $25 conc. These are opportunities to make massage a regular part of your life – why not take 20 minutes for yourself and book in a Pick-me-up massage? You may discover it is easier than you thought to regularly enjoy the benefits of massage! Remember, gift vouchers are available too, so you can also help others to look after themselves! That is, thank Akeso, the Goddess of Healing….for my business name! Apparently Akeso represented the process of healing/curing, rather than a cure itself (her sister Panakeia, or Panacea, represented the cure). It makes sense to me to consider healing a multi-faceted process, rather than something that can be found in a magical ‘fix’. Massage can create favourable conditions for the body to heal, so it could be helpful as one of many tools in your healing-process ‘kit’. Unsure about how to pronounce ‘Akeso’? I do hope the new year is unfolding well for you. It has certainly been a good time lately to enjoy the many ways for keeping cool in Castlemaine – whether it’s swimming in a pool or reservoir, mooching around in the library, drinking something cool in a cafe or staying at home with doors and windows shut and a cool facewasher on your brow! 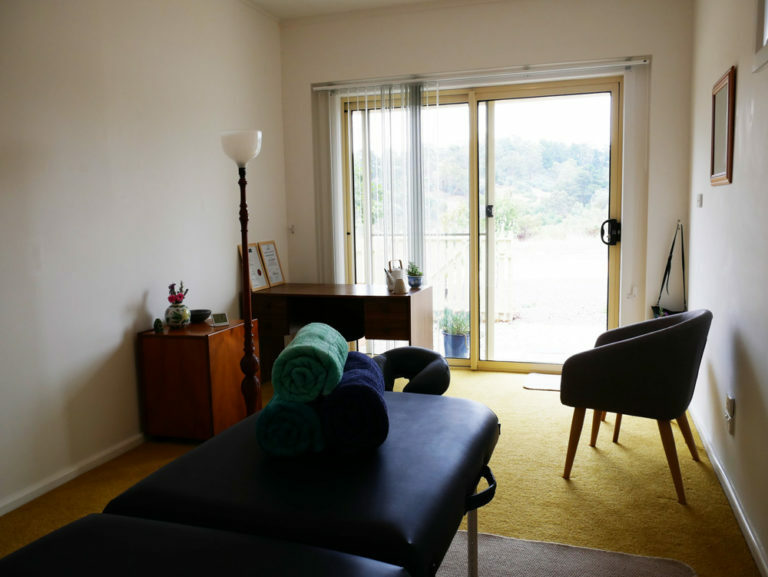 If you’re considering a massage, you might be glad to know that the Akeso Massage Therapy studio has air-conditioning – perhaps it’s the relaxing little oasis you are looking for!